I took D for his 2nd time at a little SJing competition today and I knew it would be a bit of a big ask because due to work and weather he has had very little work in the last 7 days, so things were set to be exciting! We arrived and the warm up was packed with tiny ponies,and shouty mothers but we had to just get on with it. D found this all very exciting and as a result we had lots of bucking and one rather spectacular rear (neckstrap worthy!) but actually he may have been on to something as that seemed to clear the warm up fairly well! 😉 and once it was quieter he settled further. We went in to do a clear round and he was fab. Once he’s doing his job he’s much better behaved, but he needs to learn that before the fun-jumpy-bit comes the listen-to-the-rider-and-do-as-you’re-told bit. He is perfect in the inside arena and likes nothing more than to stand and wait for his round, and ogle all the tiny ponies. 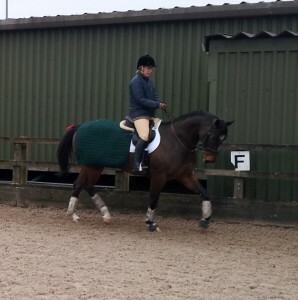 We went back out into the warm up after a clear round and did some more canter (with less bucks) and he popped the practice fence a few more times very nicely. Then we went in for Class 1 and although he surged over the 1st fence and stuck his neck up towards the 2nd, he did some nice fences within the round. In the video you can see that he’s just about getting the idea to drop his neck before the fence, and in less exciting circumstances he does this really well. All in all I’m really pleased with his progress, and with more consistent preparation possible I’m sure he will be less argumentative and more attentive. Snow = excited rolling and frolics! 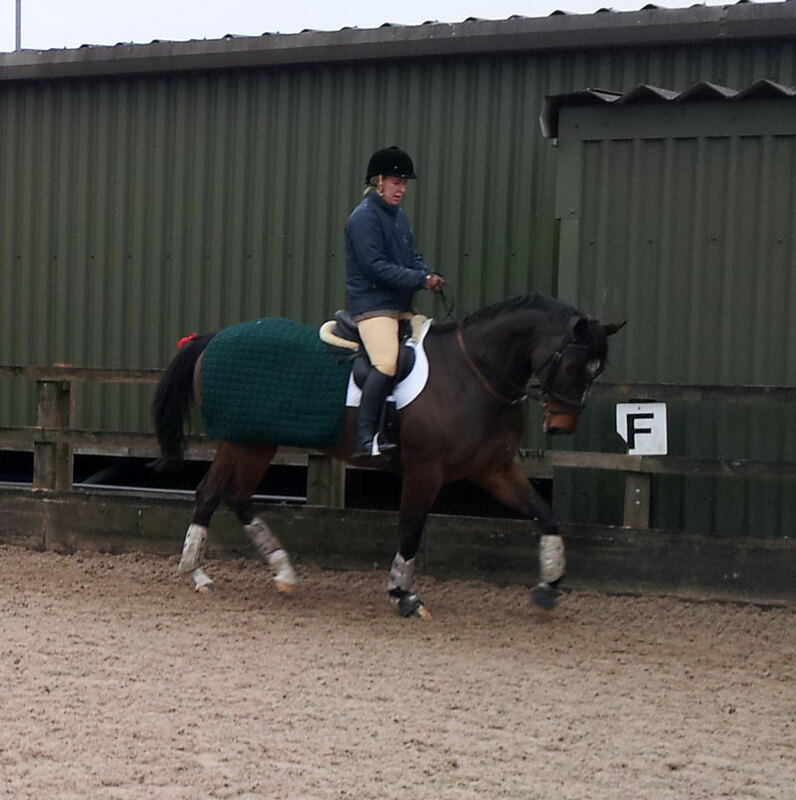 Jack goes XC schooling at Boomerang!